Wooden signs are one of the most popular gift items in the market. They are a perfect gift for all occasions such as birthdays, anniversaries, corporate events, or that perfect spot in your house to increase the charm of the room. Our lovely signs are: laser cut with smooth black finished edge and black vinyl backing. They are high quality digital color graphic print on synthetic paper over recycled wood material. All signs come with a black nylon cord for hanging. 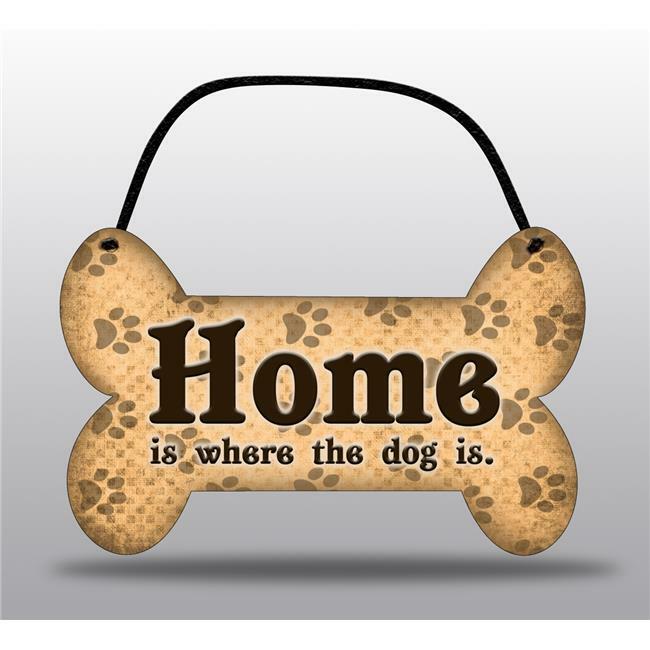 This is a 5 x 7.5 Tan bone shape with a paw print pattern that says home is where the dog is.